Spirit is set and ready to go. Over the years my G.I. 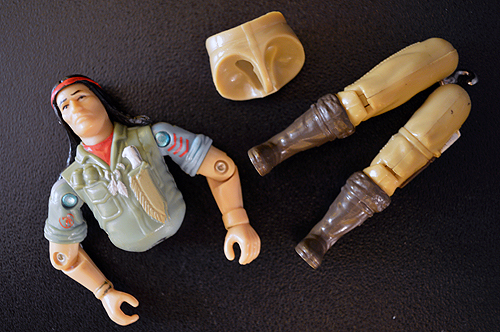 Joe figures have been tossed around, moved around, forgotten, broken and discarded. Yet somehow Spirit has remained. Spirit wasn’t in perfect shape. He didn’t necessary keep together. His original rubber band aged, dried and broke. But somehow for some reason all his accessories stayed together. 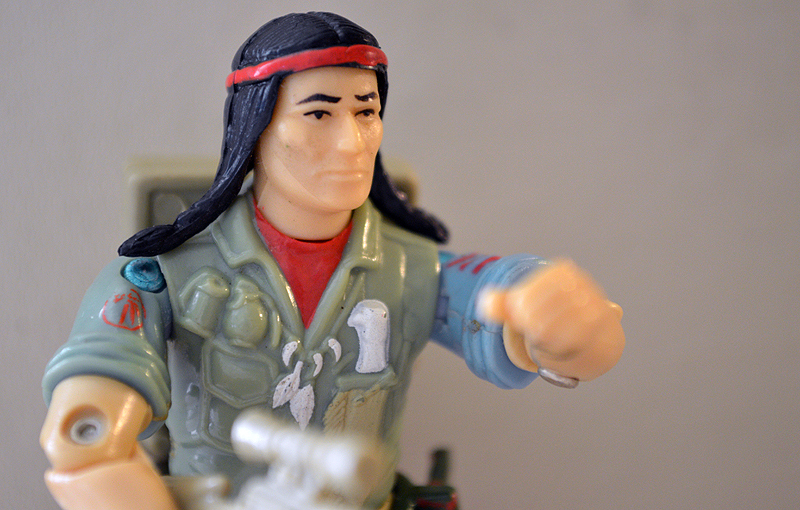 He’s the only figure to have kept all his belongings. 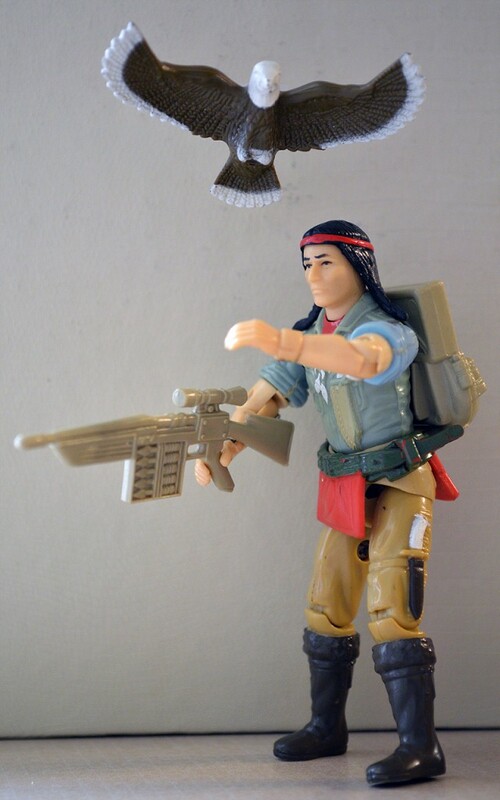 Spirit has his belt, his arrow rifle and backpack. His bald eagle companion, Freedom, also stuck around. He didn’t remain unscathed, however. His claws broke off at some point or another. But this character has proven to be my most satisfactory reassemble, because all this parts are original pieces head-to-toe. Freedom soars as Spirit is whole again.